It is over 50 years since Nikken first developed the Multi-Lock Milling Chuck. Though much copied but never bettered we have again stayed ahead of the game and re-developed our technology to launch our very latest version of the 'Anniversary' type multi-lock milling chuck. Our latest generation Multi-Lock has a completely re-designed internal taper and external nut mechanism. These extensive revisions also feature an all new roller retainer containing a multitude more bearings, at a much higher density, than the previous version. The new multi-roller system far exceeds the original specification of 140% more needle rollers than any comparable chuck. Also, to allow for a more consistent and permanent gripping force when clamped the rollers are arranged differently in more rows than ever before. The new internal construction and design also provides a greater degree of dampening during any cut. The original internal slots within the chuck bore are combined with a thickened body wall and improved taper design to ensure there is no distortion even when heavy milling. So our latest generation product provides extremely smooth milling without any vibration or chatter. For precision milling we have always maintained that it is essential to clamp the tool at the chuck nose. The new Multi-Lock, as it always has, incorporates such a mechanism within its design. This has a direct beneficial effect on the resulting surface finish as well as extending the life of any tool. Our Multi-Lock milling chuck clamps perfectly even at a mere 3mm from the chuck's nose. The Multi-Lock not only provides the greatest mechanical gripping force on the market because of its design and construction - considerations for continued performance and reliability are included within the base material. Each and every Multi-Lock is subjected to our ultra-low temperature treatment down to -90° C ;following carburizing. This special treatment removes any residual austenite from the material in effect making the composition much more dense and stable. It's this attention to detail that allows the product to continue to perform and outlast its competitors. The latest generation Multi-Lock milling chuck raises the game in terms of features and design standing proudly away from its competitors. We have improved the fundamentals once again to guarantee our position as market leader for our NC Tooling solutions. You can always be confident that the Nikken Anniversary Multi-Lock will provide the most extreme gripping force and performance capabilities whilst consistently maintaining the most important and fundamental consideration - run-out accuracy. As with the previous generation product our new version offers accuracy within 5µm (total indicator reading on C32) 100mm from the nose. Available as standard on Nikken 2-Lock for both BT and DIN tapers the chuck also offers the benefits of dual contact for both flange and taper on suitable machine tools (2-Lock is also fully compatible with standard BT/DIN type spindles). 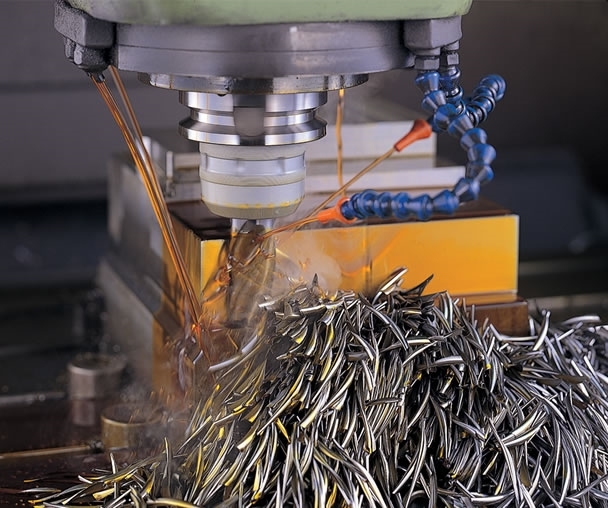 2-Lock increases the contact area considerably from around 44.4mm to 63mm (BT40) and also, as with all our NC tooling products, provides users with over 80% taper contact as standard. Additional standard options of course also include HSK and Nikken Polygon tapers. Much copied but never bettered, meet our very latest version of the 'Anniversary' type multi-lock milling chuck. Super-Slow-Motion - Nikken Multi-Lock Milling ChuckCutting S55C Carbon Steel with a Nikken BT50-C32-90 "Anniversary" Type Multi-Lock Milling Chuck.